The Best Places to Eat in Shelley, Idaho! I work in Idaho Falls, at the Group Real Estate, but I live in little ‘ol Shelley, Idaho. A place known for a small town feel, potato farms, kids running amok on their bikes and scooter, and home to some of the more “hole in the wall” restaurants. These few restaurants are what set Shelley a part from the eateries you will find in Idaho Falls. Known only by a few in Shelley, but always brought up when people come to visit from out of town. These are places we love to take relatives from far out of town, or when we are having parties somewhere, we will always order from these places. These are very local places that have a special place with a lot of people who live in Shelley, and some who don’t. The first place is Mr Pizza. 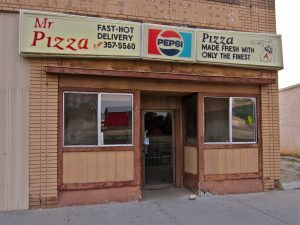 Mr Pizza sits right in “downtown” Shelley. Its a part of many buildings that run North to South on the main highway as you pass through Shelley. What makes this place stand out is the type of atmosphere and trust you have when you go there. Mr Pizza himself still works night and day there, providing you with the best hand tossed, brick over roasted pizza that he can muster up. He is great with families, has a wonderful (and very cheap, mind you) lunch menu that kids from the high schools flock to each and every day for lunch. He makes a very warm, melt in your mouth, style cheesy bread, always served with the ranch dressing that he is “known for.” When you go to Mr Pizza, you get a lot of food for your buck. The second place is Mick’s Homecooking. A small time joint that resides in a double wide trailer. If you are traveling out of Shelley, on the highway, going South, if you blink or just look to your left, you will miss this place. Known for it’s home cooked feel, it’s the best place in town to take your family for a big family dinner, breakfast, or lunch. Their hamburgers are the best in town. Hands down. There isn’t a place that competes with their hamburgers. They are also known for their pie, doing a pie of the day, to which you can purchase the entire pie to take home and use for holidays or a party. They utilize Doug Meats, which just happens to be down the road from them, so their hamburger is always fresh and ready to eat, day to day. The portions are very generous for the price. 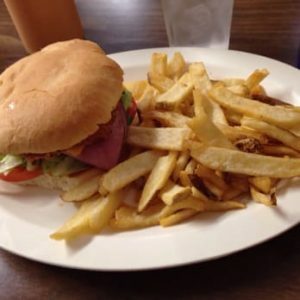 The home-style staff is easy to get along with, and the very laid back atmosphere makes it easy to go grab an extra bottle of ketchup or ask for a refill. The third place is a small food truck, just outside of Shelley, on your way South on the highway. Turning left just before you leave “city limits” you will go down about 2 miles and he is there on a lawn. His name is Sky and he specializes in cheesesteaks and breakfast burritos. This is the best place to get a breakfast burrito you will ever try. The cheese. The potatoes. The way he cooks it up in the tortilla. This is a fun place, with a fun environment, as he has some picnic tables just outside the truck if you want to stay and eat. Do yourself a favor and take that little, extra left on your way out of Shelley the next time you are leaving. Shelley is a small town, for sure. It has everything that speaks to a small town persona. From the potato farms to the fields spread through out. Make sure to give yourself the chance in the near future to come down and experience some fine dining, though. You won’t be disappointed with the great small town environment at any of these places to eat.